The way we are training with weights has a huge effect on the fat we are going to burn. In this article we will look at some training techniques that will help in losing fat. These techniques are for advanced and athletes who do not experience health problems. Research has shown that people who rest for 30 seconds between sets, burned over 50% more calories than when they rested for 3 minutes. A good solution I recommend is 40 seconds rest between sets. 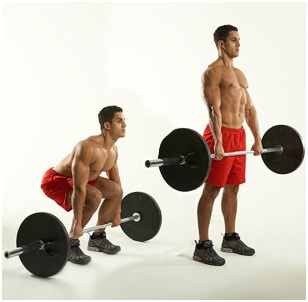 Prefer compound exercises such as deadlift, squat, exercises with free weights and generally exercises that exert great pressure using the entire body to stimulate the heart and respiratory system. As we said in the previous tip, prefer free and compound exercises to make our heart to pump and lungs to work perfectly. The more reps, the more calories we burn and therefore lose more fat. If our goal is to increase muscle mass, we should not exceed the 15 reps. When we do fast, explosive movements we burn more calories than normal, slow and controlled reps.